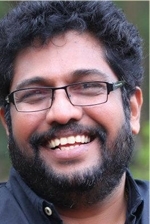 Shaji Kailas directed the film News, and the film was just an average one. Sunday 7 PM, was his second film which was the biggest flop of the year. Dr. Pasupathy, written by Renji Panicker, gave the biggest break in Shaji's career and it was one among the superhits of the year. Shaji Kailas found a new partner in Renji Panicker and started making back to back super hits. Souhrudam and Kilukkampetti which came after Dr.Pashupathi were again flops. Shaji Kailas turned his attention to action. Sthalathe Pradhana Payyans, Thalasthanam, Mafia, Commisioner such movies took Shaji to a different level and placed him as one among the super directors of the decade. Shaji Kailas never returned to usual threads but, was fully immersed into making action movies only. The King, Narasimham, Chinthamani Kolacase etc were also superhits from him. Then he parted with Renji Panicker and again joined for a movie which was a combination of The King and The commisioner. This film did not succeed as the way they expected and shaji did Simhasanam with Prithviraj and was an average hit. Jayaram was called and Shaji decided to do comedy films and did Madirashi. Shaji directed Ginger again with Jayaram.